This is a brilliant idea – thanks for your entry! Ohhhh, wish you could have heard me gasp and say, “I can’t believe it, I can’t believe it”. How incredibly beautiful–how did you do it, and am I to have it for my own? Very misty-eyed now, so touched. I’m so glad you managed the I-L dinner, and I’ll look forward to the recipe–thanks for the reminder, as I’d all but forgotten my fruitcakes in the bedroom window! Thank you for the lovely gift–it slips my mind what that’s called; calligraphy, yes–but the coloured foil artistry, what’s the name for that? I’m old and feeble…as well as totally blown away. 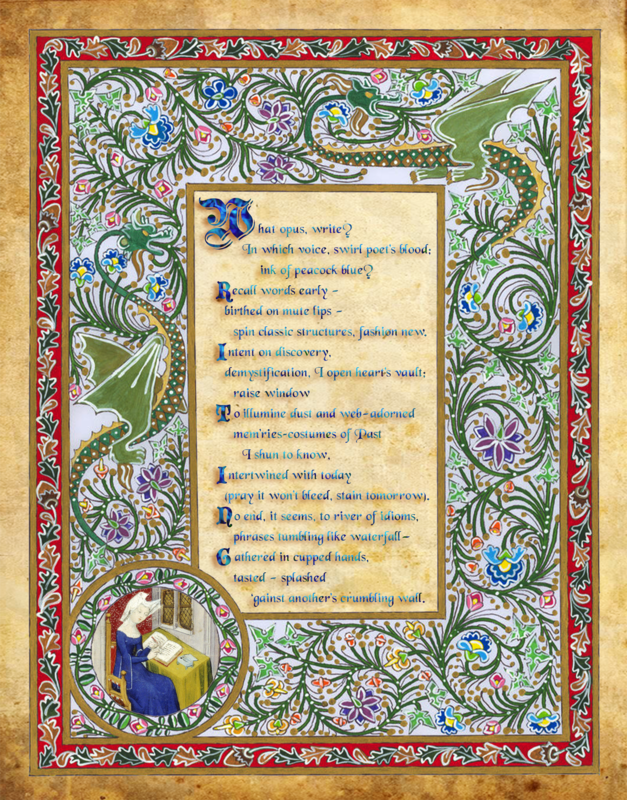 Illuminated manuscripts – that’s the thing! It is all for you – your words were so very lovely and inspiring they deserved to be showcased! Thank you for all the love and support and for being there when I needed it! Here’s a very merry holiday wish to you from your crotchety sister out east!!! I was close–my mind kept saying, “Illuminati”…. And I’m snickering this morning about “crotchety sister”, as the only way that “condition” is bearable, is when we find someone we can safely be crotchety with! 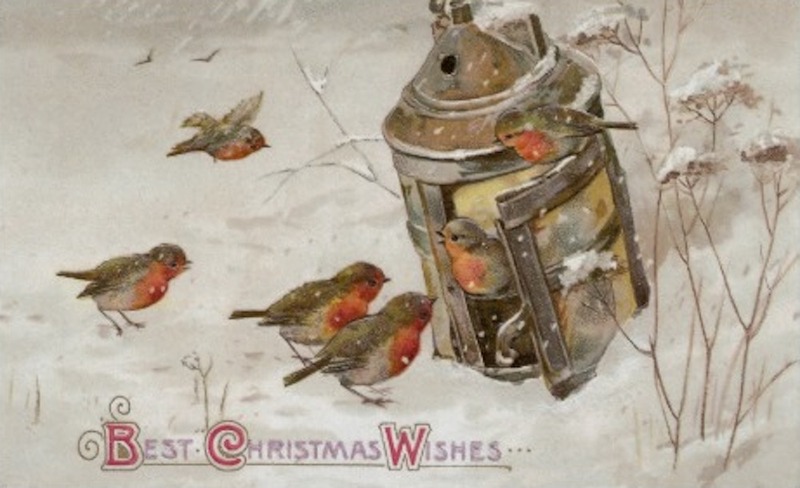 We’re having a lovely, sunny Christmas day here in the Pac NW–I hope that, whatever the weather, you’re feeling His blessings in abundance–Merry, Merry Christmas!! So true! Finally feeling much calmer, think we all just needed to stop running and relax – have a wonderful day! My mouth is full of fruitcake!